The basic and major purpose of learning tajweed is to pronounce and recite the Holy Quran correctly without making mistakes, to read Quran the way our beloved Holy Prophet Muhammad PBUH recited it. No matter what accent you have, our Online tajweed classes will change your way of reciting the holy Quran. In online tajweed course, You will learn tajweed rules, Makharij and Arabic accent which will help you to correct your mistakes and you will end up reciting the Holy Quran the best possible. Learn Tajweed online is one of the most popular programs provided by us, this course is designed and developed by experts of ReadQuranBook for kids and grown brothers and sisters at their own pace. Basic: This level is designed for complete beginners, who have no idea about what the tajweed is and want to start tajweed from the beginning. In this course, you will be introduced with tajweed and you will learn Makharij, how to pronounce letters or articulation points of letters, and attributes of the letters, etc. Intermediate: after completing the first level you will step into the intermediate level, or if you’re already familiar to the basics of tajweed you can let your teacher know and you can start with intermediate level. In this part you will learn all the tajweed rules and attributes of the letters, you will also learn the implementation of the tajweed rules by listening to your shaykh and following him/her. Expert: This is the level where the fun begins, you will start seeing that you are achieving your goal. In this, you will learn awesome techniques of how to recite Quran with tajweed like a pro Qari of the Quran. You will learn how to make your voice beautiful and get control over your breath while you’re reciting holy Quran. tajweed is not super hard, it is very easy. You can learn tajweed within one or two months, so don’t let Shaytaan/satan take you from learning Quran correctly. Now let’s take a look at the benefits of learning tajweed rules, practicing Quran tajweed rules and applying them. 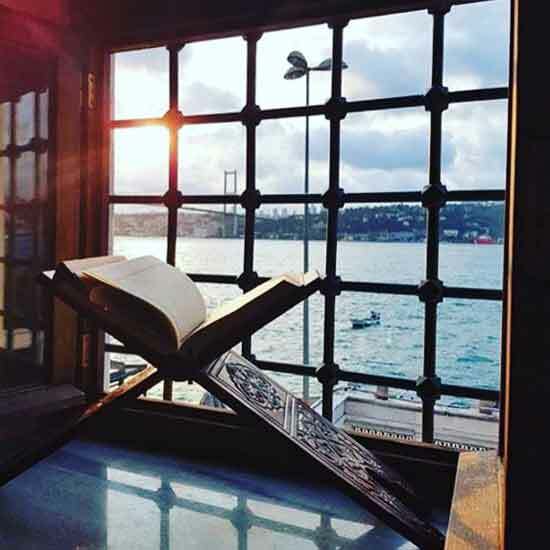 Another reason you must learn Tajweed is because when you recite the Holy Quran with tajweed it sounds so beautiful and sounds stunning, every one of us had that moment when we listen to some Shaykh like Mashari, Haz’aa Al blushi or Abdurrahman Ossi, we are so amazed and wish that if we could ever recite holy Quran like that. The first step for reciting like those professionals is tajweed. You start realizing your mistakes and fixing them when you will find out by learning tajweed online with us. Why Do You Need to Learn Tajweed? when you read or recite Quran without tajweed you probably are pronouncing letter and words wrong and this Arabic language is unlike the other languages, in Arabic your accent matters a lot, when you mispronounce something you change the meaning of a word, and we all know that (and also you will be taught in learn tajweed online course) the change in meaning of Quran is haram and if someone does it, that person will be sinful. And when make a major tajweed mistake during salah it invalidates your salah. This is the reason most people don’t feel anything when they pray salah, they get nothing out of it, No feeling no love for salah, it only becomes a boring activity for them, there could be many reasons but reading Quran in a wrong way without tajweed is also a major reason for not having any interest in your salah while performing it. Learning tajweed rules and the whole science of tajweed is necessary but not for everyone, but reading Quran with tajweed is obligatory for every single one of us. So tajweed basically is you pronounce letters with their attributes/Sifaat and beautify your voice when doing Quran recitation. This is the right of every letter and this is the right of the Quran. Allah SWT says in Quran “Those to whom We have given the Book and they recite it observing the rights of its recitation – they are the ones who believe in it.” Now, what is the right of its recitation? To Read Quran with its tajweed, to recite it correctly by pronouncing every single letter correctly with tajweed is the first right of the book of Allah SWT, this one of the major sign of a believer. We take tajweed as something ordinary but the fact is it not an unnecessary or ordinary thing. If you don’t know tajweed. Even Quran memorization is not obligatory but the tajweed is. Sometimes we think that it is okay when you read Quran without tajweed, if you make a mistake then Allah SWT will forgive you, which is true, but it is different when you keep making a mistake and not trying to correct it and you think that Allah SWT will forgive. Alhamdulillah we have an opportunity to correct our mistakes and there is no age limit for learning tajweed, if you want to correct it and learn tajweed at any age, it is possible. All you need is an expert tajweed Quran tutor which is available at readquranbook and they teach you tajweed in an easy and simple way. So instead of making excuses, you should try to learn tajweed and start reading Quran correctly inshaAllah from today. Is it possible for me to correct my Quran pronunciation by learning tajweed if I am old? Of course, you can learn tajweed rules and correct your pronunciation. It doesn’t matter how old you get, you only need pure intention, lots of practice and an expert Tajweed teacher, the good news is that we have many expert online Tajweed tutors available, you start with us anytime you want. We guarantee you, inshaAllah you will see the results after a couple of tajweed classes online. Just look at companions of the Holy Prophet Muhammad PBUH. They were not young when they learn holy Quran and memorized it, most of them were older than 30 and 40 years. So age doesn’t matter for learning Quran or Islam all you need to have is a pure intention and endless struggle insha’Allah and Allah SWT will make things easy for you.